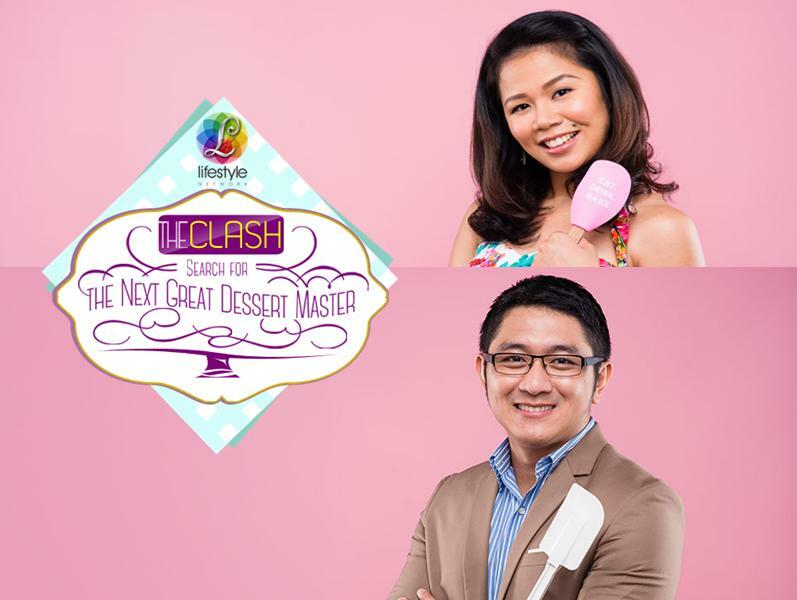 The competition continues to heat up in the second week of “The Clash: Search for the Next Great Dessert Master” with more exciting challenges for the top six clashers. Two of them are going to have a showdown. One is Baker Boy Next Door Wado Siman. Before finding solace in making desserts, Wado used to be an editor for television who suffered burnout. He quit his job and tried his hand in baking cakes and cupcakes. Although he lacked formal training, Wado had a natural flair for whipping up desserts. When the number of orders kept growing, Wado knew he finally found his niche. Today, he works as an Account Executive for a food gadget hardware store. Determined to prove that through dedication anyone can master the art of dessert making, Wado joined Lifestyle Network’s “The Clash” and has been lucky to be picked as one of the finalists. The other contender is pastry cook Jessica Relos. This gutsy girl who had the opportunity to work in a prominent hotel in Vancouver has plenty of talents. Aside from being a self-proclaimed foodie, Jessica also loves to play the guitar and to dance. She thinks excellent deserts need some key ingredients: precision, creativity, and lots of patience. Who between Wado and Jessica will proudly don the Great Dessert Master badge? 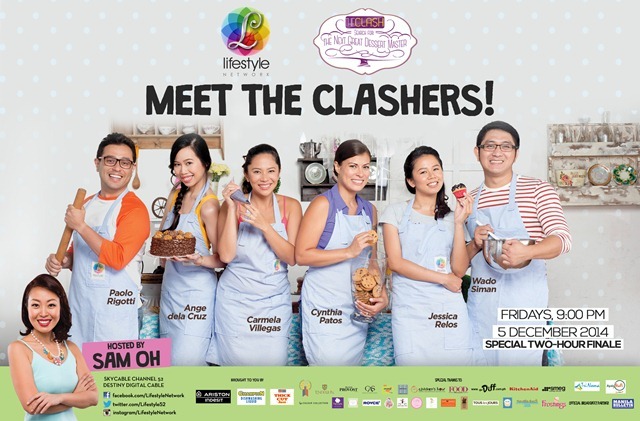 Follow their journey by watching “The Clash: Search for the Next Great Dessert Master” this Friday (November 21), 9:00PM on The Lifestyle Network. Encore telecast Saturdays 12:30AM, Sundays 9:30AM and Thursdays 6:00PM. For updates, visit the Lifestyle Network’s official Facebook page (www.facebook.com/LifestyleNetwork) and for more details about the show, go to www.lifestylenetwork.com.ph. Show Your Sweetness With Bizu Catering Studio!